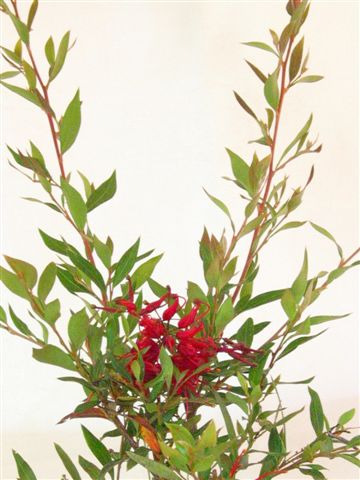 Ornamental rounded shrub with deep green lanceolate leaves and large red spider flowers from winter, spring & summer. 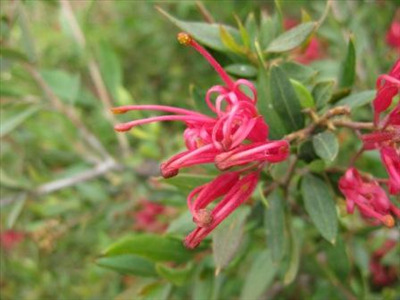 Prefers well-drained acid to neutral well-drained soils, full sun or partial shade. Tolerant of heavy frost and extended dry periods. Responds well to pruning. Excellent screen or hedge. 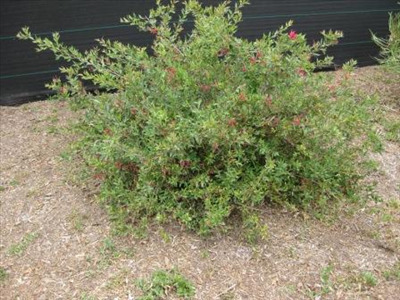 Excellent bird attracting shrub.